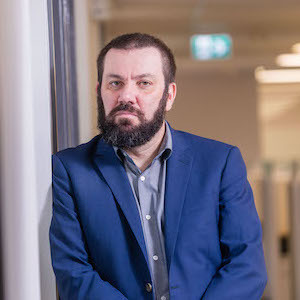 Dr. M-J Milloy, PhD, is a Research Scientist at the British Columbia Centre on Substance Use (BCCSU) and an assistant professor in the Department of Medicine at the University of British Columbia (UBC). On January 1, 2019, he began his appointment as UBC’s inaugural Canopy Growth Professor of Cannabis Science, a position created by arms’ length gifts to the university from Canopy Growth, one of the world’s largest producers of legal cannabis, and the Government of British Columbia’s Ministry of Mental Health and Addictions. At the BCCSU, Dr. Milloy leads observational and experimental research into the public health impact of cannabis regulation and the therapeutic applications of cannabis and cannabinoids, especially for people living with HIV or substance use disorders or at risk of overdose. Dr. Milloy is the principal investigator of the AIDS Care Cohort to Evaluate exposure to Survival Services (ACCESS) study, a prospective cohort of people living with HIV who use illicit drugs. The ACCESS study is comprised of more than 1,100 individuals living with HIV/AIDS who use illicit drugs. He has authored more than 150 peer-reviewed articles on topics that include the impacts of homelessness and incarceration on HIV treatment outcomes; patterns of non-fatal and fatal overdose; and the impact of Insite, North America’s first medically supervised injecting facility. In 2011, he co-authored a study in The Lancet showing that the establishment of Insite, Vancouver’s first supervised injection facility, preceded a 35% decline in rates of fatal overdose in the vicinity of the low-barrier harm reduction facility compared to 9% in the rest of the City of Vancouver. Dr. Milloy has won several awards of merit, including the 2011 Bisby Fellowship from the Canadian Institutes of Health Research. Most recently, Natural Green BioMed, Ltd., a private firm applying for a license to produce cannabis, pledged $1-million to UBC to study the therapeutic effects of cannabis and its potential to treat HIV.